Are you headed on a trip for Thanksgiving or planning a big vacation for the holiday break? We asked Kimberly Tate—mom and blogger at Stuffed Suitcase, for her best family travel tips. With her husband and two daughters, they’re traveling the world and sharing their tips for making travel easier. We tapped her for her 7 best tips for traveling with kids! Keep reading for tips on traveling with kids! It’s important to know that a family vacation doesn’t have to be a kid-centric vacation. However, letting your kids have a voice in the planning can go a long way towards creating a vacation everyone will love. Some families let their kids chime in on where they want to go on their next vacation, while others let their kids research online to plan and pick what activities they want to do on the trip. From the time my girls were in preschool I taught them to pack their own suitcases. I researched in advance what we’d be doing each day and what the weather would be and gave them slips of paper for picking clothes for each day of our vacation. I’d then review their choices and make sure everything was ready and put the clothes in their suitcases. Getting Stitch Fix Kids makes it easy for us to get what we need for our trips—especially when you can add a note and let your Stylist know what you’re planning! One of the biggest adjustments that single travelers have to make when they travel with kids is adjusting daily limits. When we traveled as a couple we could hit two museums a day plus a late-night dinner. When traveling with kids you have to realize that they can’t handle the same amount of activity that an adult can. You need to be sure to not overschedule your days with activities and allow downtime for everyone to relax and recharge. Most family vacations succeed because of planning and snacks. Lots and lots of snacks. Kids can get hungry, and it often becomes hangry, anger as a result of being hungry. Having a good stash of snacks on hand can help ward off temper-tantrums and boredom. Granola bars and fruit snacks are our go-to packable snacks. I’ll even add a box or two to our suitcase and bring them along from home. When you’re planning your activities keep in mind how you’ll keep your kids engaged during the activity. If you’re visiting a museum, find out if they have any kids programming like scavenger hunts or audio tours. If your kiddo is a storyteller or artist, get them a special book to bring on the trip for journaling. And, you might even consider some relaxed screen time rules during your family vacation. Perhaps find a new app or two that relates to your vacation somehow, or download eBooks or audiobooks for your kids to read, bonus points if they have something to do with your destination or activities. Family vacations are a perfect time for capturing family photos. 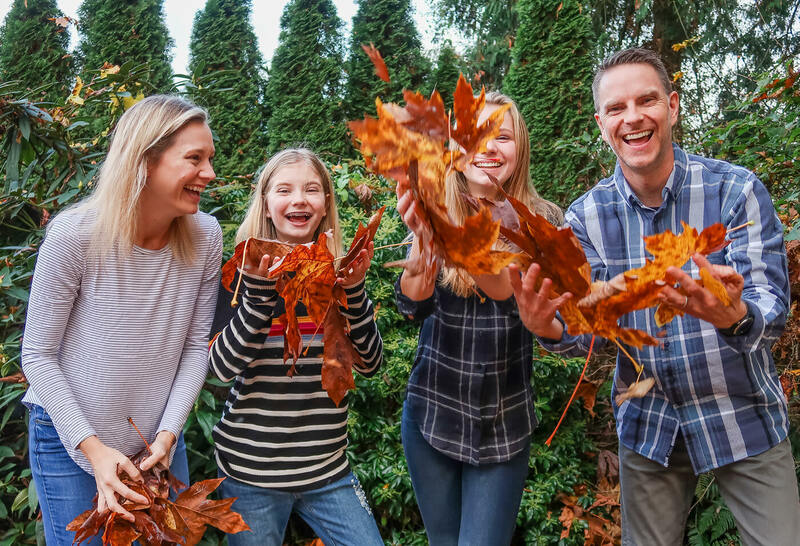 Whether you hire a professional photographer in the area for a day shoot, or you just ask a passerby to snap a couple of pictures of your family, don’t miss the opportunity to capture your family together. This is also a great way to create that holiday card photo or capture a photo to send to the grandparents. With these tips in mind you’re ready to rock your family vacation. In the end, remember to have fun and love your kids. Even the mishaps will make great memories! Ready for a Fix before your next family trip? Schedule a Fix and let us know where your family is headed!